PCI Promatec | PCI: Performance Contracting Inc.
Used in nuclear facilities around the world, our line of passive fire protection products includes proprietary penetration seal systems qualified under some of the most rigid industry standards for fire, flood, pressure, and radiation resistance. PCI Promatec, whose roots go back to the beginning of the nuclear passive fire protection industry in the mid 70’s, was formed by the acquisition of Brand Fire Protection Services (formerly BISCO), B&B Promatec, Insulation Consultant & Management Service (ICMS), Techsil and Chemtrol, and has provided and continues to provide our products and services to the vast majority of American nuclear power facilities. As PCI Promatec, we continue to offer the original formulations of products once offered by Brand, Promatec, ICMS Techsil and Chemtrol. PCI Promatec has served the needs of the nuclear passive fire protection industry for more than forty years, and our products can be found in facilities around the world. Priding ourselves in delivering top-quality materials and reliable service, PCI Promatec will work with you to ensure that you receive the best product for your specific application. We offer a full line of our own specially-blended penetration sealants. Additionally, we are a distributor and installer worldwide — in some cases, on an exclusive basis — for many of the best-known fire protection product manufacturers, including 3M Interam TM Flexible Wrap Systems, Dow Corning, GE, Carboline and Promat products. HDSE is a high-density, two-part silicone elastomer developed and manufactured exclusively by PCI Promatec. Primarily developed as a fire sealant capable of providing a high degree of gamma radiation shielding, HDSE is supplied at a minimum density of 147 FT³. HDSE is also an excellent flood seal material (up to 40 psi pressure – CTP-1081). Further, relative to other sealants, this material acts as a heat sink, (thereby reducing the concern for cable derating). Installed as a liquid, by hand, or machine, this ensures a complete fill in and around penetrating elements. Cured, it exhibits a durable, damage-resistant exterior surface that is easy to decontaminate. HDSE has been subjected to substantial radiation exposure levels (5 x 107 Rads Gamma) with no significant changes reported to the material’s physical properties. Base material has undergone exposures as high as 7.13 x 108. Successful full-scale fire testing has been performed for a variety of design configurations at nationally recognized laboratories, to numerous standards. A depth as little as 8″ is all that is required for a 3-hour fire rating. HDSE can be selectively removed with relative ease using blunt non-conductive tools and devices. Additions or deletions of elements can be easily accomplished, and new HDSE material can then be applied to previously cured material to become an integral matrix with the already installed HDSE. HDSE is supplied in 150 lb. sets consisting of two six-gallon containers, yielding approximately 1 cubic foot of cured material. Cure time for the HDSE can be varied from 10 minutes to 4 hours. Custom cure times can be requested. SF-150NH is a high-density two-part silicone elastomer, originally available from Brand Insulation Services (BISCO), now manufactured exclusively by PCI Promatec. The SF-150NH provides a high degree of gamma radiation shielding, supplied at a minimum density of 147 FT³. SF-150NH is also an excellent flood seal material (up to 40 psi pressure – Ref M-179). Further, relative to other sealants, this material acts as a heat sink, thereby reducing the concern for cable derating. Installed as a liquid, by hand, or machine, this ensures a complete fill in and around penetrating elements. Cured, it exhibits a durable, damage-resistant exterior rated excellent for decontaminability. SF-150NH has been subjected to substantial radiation exposure levels (1 x 108 Rads Gamma) with no significant changes reported to the material’s physical properties. Base material has undergone exposures as high as 7.13 x 108. Successful full-scale fire testing has been performed for a variety of design configurations at nationally recognized laboratories, to numerous standards. A 12” depth is all that is required for a 3-hour fire rating. SF-150NH can be selectively removed with relative ease using blunt non-conductive tools and devices. Additions or deletions of elements can be easily accomplished, and new SF-150NH material can then be applied to previously cured material to become an integral matrix with the already installed SF-150NH. SF-150NH is supplied in 100 lb. sets consisting of one five and one six-gallon container, yielding approximately 0.66 cubic foot of cured material. Cure time for the SF-150NH is approximately 8 hours. RADFLEX, a patented product, is a high-density resilient fire sealant material, developed and manufactured exclusively by PCI Promatec. Installed as a liquid, by hand or machine, a complete fill in and around penetrating elements is assured. This material provides gamma shielding and fire resistance, yet allows significant penetrant movement both axially and laterally without loss of sealing capability. RADFLEX is protected under U.S. Patent No. 4,436,868. RADFLEX has been subjected to radiation exposure levels (1.13 x 108 Rads Gamma). Further details can be found below. A mechanical penetration seal (at a minimum 147 lb/ft³) was exposed to 1.13 x 108 Rads Gamma, subjected to cycle movement testing, and then successfully subjected to fire testing. It is recommended a flexible silicone fabric boot be installed as an integral part of this design, providing mechanical securement. This patented product has received major insurance company and regulatory body acceptance. Typically, RADFLEX is supplied at a nominal density of 150 lb/ft³. Higher density ranges can be achieved by formula variations when requested. RADFLEX can be easily removed. When additions or deletions of elements are necessary, new RADFLEX material can then be applied to previously cured material to become an integral matrix with the already installed RADFLEX. RADFLEX is supplied in 150 lb. sets, (consisting of two six-gallon containers) or 75 lb. sets, (consisting of one six-gallon container) yielding approximately 1 or ½ cubic foot of cured material respectively. Cure time for the RADFLEX is approximately 18 to 24 hours. HDSE™ is a high-density silicone elastomer developed and manufactured exclusively by PCI Promatec. Primarily developed as a fire sealant capable of providing a high degree of gamma radiation shielding, HDSE™ is also an excellent flood seal material (up to 30 psi pressure). Further, relative to other sealants, this material acts as a heat sink, thereby reducing the concern for cable derating. Installed as a liquid, this ensures a complete fill in and around penetrating elements. Cured, it exhibits a durable, damage-resistant exterior surface that is easy to decontaminate. 45B is an elastomer-based product developed and marketed by PCI Promatec. 45B is typically supplied as a two-part set of A and B liquid components. The A liquid is black and the B liquid is buff for easy identification and inspection of complete mixing. Installed by hand or machine, thorough mixing of the components in a 1:1 ratio yields a high dielectric liquid that cures into a firm elastomer at room temperature with no off-gassing or other by-products. Since it is installed as a liquid, a complete fill in and around penetrating elements is ensured. Cured, it exhibits a durable, damage-resistant exterior surface that is easy to decontaminate. 45B has undergone substantial radiation exposure levels (1.25 x 108 Rads Gamma) with no significant changes reported to the material’s physical properties, (fracturing or spalling). Base material has undergone exposures as high as 7.13 x 108. Numerous successful full-scale fire tests have been performed at nationally recognized laboratories for various seal configurations including electrical and mechanical elements in large, complex block out openings. Seal designs have been qualified for a three-hour fire resistance at a 6” depth, without permanent damming. 45B can be selectively removed with relative ease using blunt non-conductive tools and devices. New 45B material can then be applied to become integral with the existing 45B. Configurations have been qualified for up to 20-psi pressure resistance with zero leakage at a six-inch depth. 45B is supplied in 100 lb. sets consisting of two five-gallon containers, yielding approximately 1.1 cubic foot of cured material. The cure time for the 45B can be as little as 10 minutes, or as long as 8 hours. Custom cure times can be requested. SF-60 is an elastomer-based product marketed by PCI Promatec. SF-60 is typically supplied as a two-part set of A and B liquid components. The A liquid is black and the B liquid is buff for easy identification and inspection of complete mixing. Installed by hand or machine, thorough mixing of the components in a 1:1 ratio yields a high dielectric liquid, that cures into a firm elastomer at room temperature, low in halogens, with no off-gassing or other by-products. Since it is installed as a liquid, a complete fill in and around penetrating elements is ensured. Cured, it exhibits a low ampacity derating and a durable, damage-resistant exterior surface that is rated excellent for decontaminability. SF-60 has undergone substantial radiation exposure levels (1 x 108 Rads Gamma) with no significant changes reported to the material’s physical properties. Base material has undergone exposures as high as 7.13 x 108. Numerous successful full-scale fire tests have been performed at nationally recognized laboratories for various seal configurations including electrical and mechanical items in large, complex openings. Designs have been qualified for a three-hour fire resistance at a 6” depth, without permanent damming. SF-60 can be selectively removed with relative ease using blunt non-conductive tools and devices. With minor preparation, newly installed SF-60 material becomes integral with existing SF-60. SF-60 is supplied in 100 lb. sets consisting of two five-gallon containers, yielding approximately 1.2 cubic foot of cured material. The cure time for the SF-60 can be as little as 10 minutes, or as long as 8 hours. Custom cure times can be requested. LDSE is an elastomer-based product developed and marketed by PCI Promatec. LDSE is typically supplied as a two-part set of A and B liquid components. The A and B liquids are black and off-white, respectively, for easy identification and inspection of complete mixing. Installed by hand or machine, thorough mixing of the components in a 1:1 ratio yields a high dielectric liquid, that cures into a light weight, firm elastomer at room temperature, low in halogens, with no off-gassing or other by-products. Since it is installed as a liquid, a complete fill in and around penetrating elements is ensured. Cured, it exhibits a durable, damage-resistant exterior surface that is easy to decontaminate. LDSE has undergone substantial radiation exposure levels (5 x 107 Rads Gamma) with no significant changes reported to the material’s physical properties. Base material has undergone exposures as high as 7.13 x 108. Numerous successful full-scale fire tests have been performed at nationally recognized laboratories for various seal configurations including electrical and mechanical items in large, complex openings. Designs have been qualified for a three-hour fire resistance at a 6” depth without, and lesser depths with, permanent damming. LDSE can be selectively removed with relative ease using blunt non-conductive tools and devices. 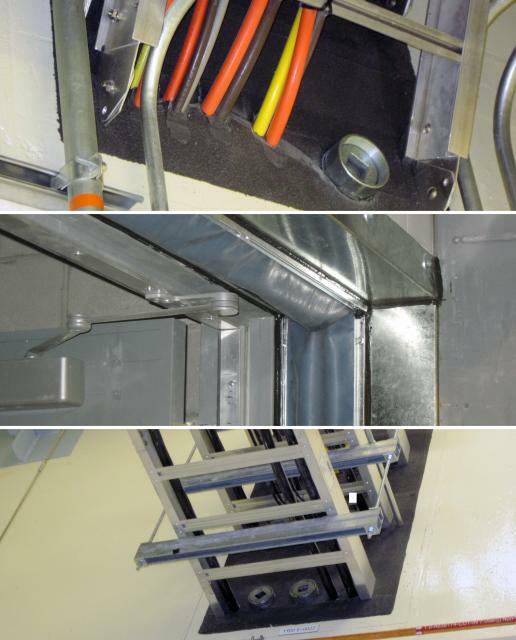 With minor preparation, newly installed LDSE material becomes integral with existing LDSE. Configurations have been qualified for up to 20-psi pressure resistance with zero leakage at a four-inch depth. LDSE is supplied in 60 lb. sets consisting of two five-gallon containers, yielding approximately 1. cubic foot of cured material. The cure time for the LDSE can be as little as 10 minutes, or as long as 8 hours. Custom cure times can be requested. This class of sealants possesses the structural integrity allowing them to act as pressure seals as well as offering fire endurance. As with all two-part silicones we offer, they are introduced into the opening as a high dielectric strength liquid that cures in place. In general, these sealants all have a very low impact on cable ampacity, are naturally low in halogen content, and can tolerate axial movement with bond breakers. SF-20™ Silicone Foam is a low-density resilient fire sealant material developed and manufactured exclusively by PCI Promatec. Installed as a liquid, this ensures a complete fill in and around penetrating elements. This seal type is suitable for fire and air concerns. SF-20™ is typically supplied as a two-part set comprised of A and B liquid components. The A liquid is black and the B liquid is buff for easy identification and inspection of complete mixing. Through mixing of the components in a 1:1 ratio yields a liquid encapsulator that cures into a foamed elastomer at room temperature. A mild exotherm (36° F) is exhibited during the curing reaction. SF-20 has undergone substantial radiation exposure levels (1 x 108 Rads Gamma) with no significant changes reported to the material’s physical properties. Numerous successful full-scale fire tests have been performed at nationally recognized laboratories for various seal configurations including electrical and mechanical items in large, complex openings. Designs have been qualified for a three-hour fire resistance at a depth as little as 6″ with permanent damming. Other designs utilize 9″ and 10″ with damming and 12″ without. SF-20 can be selectively removed with relative ease using blunt non-conductive tools and devices. With minor preparation, newly installed SF-20 material becomes integral with existing SF-20. Certain configurations have been qualified for up to 3-psi pressure resistance with minimal to zero leakage. Other configurations may vary regarding pressure resistance. SF-20 is supplied in 100 lb., 80 lb. and 17 lb. sets consisting of two 6, 5 or 1-gallon containers, respectively. The cure time for the SF-20 is 1 to 3 minutes, but varies with temperature. SE-Foam™ is a low to medium density resilient fire sealant material manufactured exclusively by PCI Promatec. It has improved fire resistance compared with SF-20™ silicone foam and can be installed in lesser depths for the same fire rating. Installed as a liquid, similar to SF-20™, this ensures a complete fill in and around penetrating elements. This seal type is suitable for fire and air concerns. SE-Foam™ is typically supplied as a two-part set comprised of A and B liquid components. The A liquid is black and the B liquid is buff for easy identification and inspection of complete mixing. Through mixing of the components in a 1:1 ratio yields a liquid encapsulator that cures into a foamed elastomer at room temperature. A mild exotherm (36° F) is exhibited during the curing reaction. SE-FOAM has undergone substantial radiation exposure levels (1 x 108 Rads Gamma) with no significant changes reported to the material’s physical properties. Numerous successful full-scale fire tests have been performed at nationally recognized laboratories for various seal configurations including electrical and mechanical items in large, complex openings. Designs have been qualified for a three-hour fire resistance at a depth as little as 7-1/2″ without permanent damming. Other designs utilize 7-1/2″ with damming and 12″ without. SE-FOAM can be selectively removed with relative ease by hand or using blunt non-conductive tools and devices. With minor preparation, newly installed SE-FOAM material becomes integral with existing SE-FOAM. Certain configurations have been qualified for up to 1-psi pressure resistance with minimal to zero leakage. Other configurations may vary regarding pressure resistance. SE-FOAM is supplied in 100 lb. sets consisting of two 6-gallon containers. The cure time for the SE-FOAM is 1 to 3 minutes, but varies with temperature. A one-part silicone formulation that cures in the presence of atmospheric moisture to produce a durable, fire-resistant, flexible and ultra-low modulus silicone rubber building joint seal. Promaflex has been qualified for long-term stability for elevated penetrant temperatures and for its stability in nuclear applications. Suitable for fire resistance or fire and pressure resistance where the differential is low. Suitable for Gamma radiation attenuation, fire, and pressure resistance, RADFLEX has undergone accelerated thermal & radiation aging and cycle testing to assure its stability in nuclear applications. This system is suitable for a variety of applications where fire and pressure resistance is desired while allowing freedom of movement of the penetrating item. It is also qualified for applications involving high-temperature lines. This system is suitable for applications where air and flood pressure resistance is desired while allowing freedom of movement of the penetrating item. It is also qualified for applications involving high-temperature lines. These sealants and systems offer combinations of fire, pressure resistance, and gamma radiation attenuation, yet still allow significant movement of the penetrating item. The Fire Plug is a reusable seal that installs in minutes and is immediately functional providing fire and pressure resistance. The Fire Plug can be removed just as quickly and easily allowing it to be stored for future use and used over and over. Originally available through Brand Insulation Services (BISCO) and ICMS, the Fire Plug is suitable for applications where immediate fire, air, or water-tight integrity is desired. 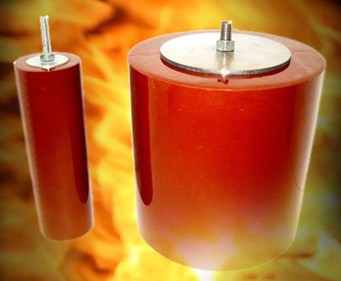 The Fire Plug, manufactured from materials that have undergone accelerated thermal and radiation aging, assures its stability in nuclear applications. The sealing of unpenetrated mechanical sleeves, electrical conduit spares and core bores with a three-hour fire rated pressure resistant plug. Quickly installed and easily removed for penetration access eliminating the need for an expensive fire watch. Can be reused again and again or placed in storage for future use. 3M Interam fire wraps are qualified to the stringent requirements of Supplement 1 to USNRC Generic Letter 86 -10 and are UL Classified 1 and 3-hour fire protection systems. They are designed to meet USNRC 10 CFR Part 50 Appendix R requirements for the fire protection of safety related electrical raceways. E-50 Series Flexible Wraps are qualified to the stringent requirements of Supplement 1 to USNRC Generic Letter 86-10 and are UL Classified one and three-hour fire protection systems. They are designed to meet USNRC 10 CFR Part 50 Appendix R requirements for the fire protection of safety-related electrical raceways. These flexible wraps have also been utilized to comply with USNRC Regulatory Guide 1.75. Gray, self-leveling one-part adhesive, high tensile strength and elongation and thermally stable (reversion resistant). Improves the pressure and flood resistance for existing seals for openings with multiple electrical conductors. Pressure and flood seals for openings with non-moving pipe or conduit. Many of these items can be supplied Nuclear Safety Related; we are a NUPIC audited company. 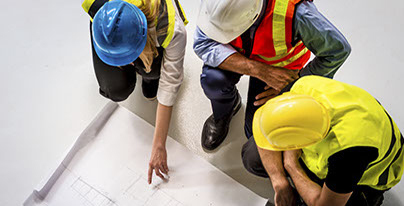 As a full-service turnkey contractor, PCI Promatec has a level of experience unequaled in the industry stemming from our nearly 150 years of cumulative experience in the passive fire protection industry. Internationally, we have provided passive fire protection services to well over 30 sites worldwide. Because we provide and work with a wide variety of fire protection products (i.e., sealants, duct protection, barrier walls and enclosures, transformer separation and coating products, and many more), we have acquired expertise in the handling of all types of passive fire protection products – quickly and expertly. Our ability to provide solutions to fire protection requirements and challenges is well-documented in the nuclear power plants that we have serviced in the U.S. and overseas. We offer a full line of our own specially-blended penetration sealants. Additionally, we are a distributor and installer worldwide – in some cases, on an exclusive basis – for many of the best-known fire protection product manufacturers, including 3M Interam TM Flexible Wrap Systems, Durasteel, Dow Corning, GE, Carboline and Promat products. PCI Promatec offers design and engineering services, material supply, and technical evaluation for all our customers, whether they be for labor or project management-type projects. 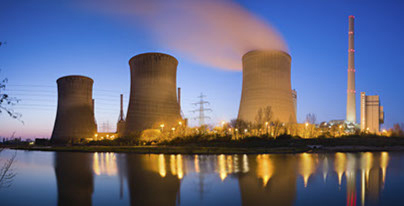 Our markets include governmental and private industry nuclear research and power generation clients. In addition to the nuclear industry, we also provide unique passive fire protection products and service to the fossil-fuel, heavy industrial, and commercial areas of power production and manufacturing. 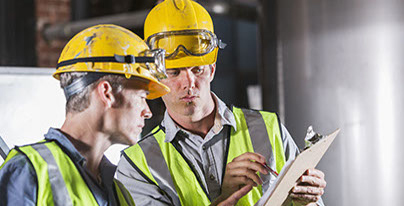 We offer comprehensive training programs to ensure that craft, plant maintenance, and inspection personnel are familiar with the requirements for each product and uniquely qualified to install each and every product. We are an NUPIC-audited supplier. We have a full Appendix B Quality Assurance Program with the capability to dedicate commercial-grade items for safety-related applications. Our test library is unequaled in the industry, with more than 300 test configurations. We offer a full Appendix B Quality Assurance Program with the capability to dedicate commercial grade items for safety-related applications. We are an NUPIC audited supplier. With more than 150 years of cumulative experience in the passive fire protection industry, our team provides solutions specifically developed for nuclear, power, chemical processing, and heavy industrial applications. Our comprehensive service offerings range from evaluations and installation to training and testing solutions. 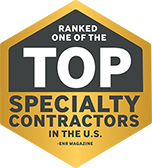 Our team is dedicated to providing customers with safe and efficient service to meet their unique needs. Our principal markets include both governmental and private industry nuclear research and power generation, including the fossil-fuel, heavy industrial and commercial areas of power production and manufacturing.